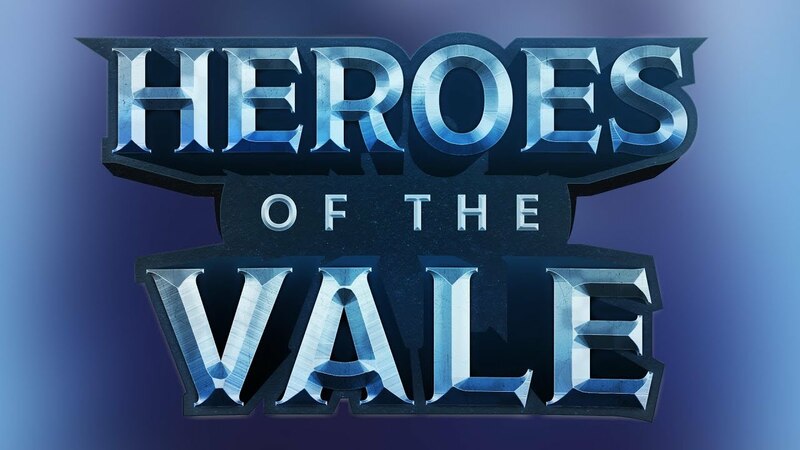 D&D Beyond announced that Mike Mearls is stepping away as Dungeon Master for the Heroes of the Vale actual play series that takes place in the Nentir Vale. Shelly Mazzanoble, another member of the WotC D&D team, is leaving the series as well. I'm curious to see if we ever learn why they stepped away. Could it be because having WotC staff on a D&D Beyond program risks giving the appearance that D&D Beyond is part of WotC rather than a licensee? This is merely my speculation, but it seems odd that both of the WotC staff members left. The post-holiday return of the series has been delayed due to the change, but it will be back on January 23. It will be interesting to see if it continues to deviate from established Nentir Vale lore or if the new DM, Todd Kenreck, sticks more closely to what's been written about the setting. And who will the two new PCs in the party be? Will there be an explanation for why Fla'apper and Avren are gone? Guess we'll see in a couple weeks. Adam Bradford said it was because they were stepping away for reasons and projects that were going to be very exciting for D&D fans everywhere. Mike Mearls said on Twitter the 8th of January that he is also cancelling his Happy Fun Hour show. And Satine Phoenix sat in for Shelly Mazzanoble on the episode of Dragon Talk recorded on the 11th of January. So they are not just dropping this D&D Beyond show. They are clearing out their schedules on other live-streamed shows too. Unearthed Arcana has also been pushed back. I'm not sure who normally writes that, but I'm guessing that WotC is clawing people back to make sure something doesn't miss a deadline. It looks like D&D Beyond might have accidental leaked two character sheets. The PC is called "DnDBeyond" and the stats are a bit bonkers (30s across the board) but is this something that has been set up and not finished...or some sort of test PC? This PC is called "boxxie" and again the stats are bonkers (this time -1s across the board). Clearly neither of these PCs is usable, at the moment, but somebody involved in the game created them for some reason. Could they be a couple of replacement PCs that are "under construction"? I had read what Big Mac said. They are just with tight schedules and have been dropping a lot of their other stuff as well. It remains too see how this will change the campaign. Good catch! I guess we'll have to wait and see unless they announce something. I heard that, but it sounded like the type of thing you would say to the fans regardless of the actual reasons. Nice work noting the other projects they've had to step away from recently. Multiple data points can reveal a pattern, and it does seem more likely that they're super busy with something given all the prior commitments that they've had to step away from. So is Fla'apper coming back? I always thought it was cool that they had an Aaracockra PC. I'm not sure if Shelly Mazzanoble will return to the show. Once the show has been disrupted for a change in the cast, they may decide not to shake things up again, even if Shelly or Mike Mearls become available again. My guess is that we won't see Fla'apper return as a member of the party. Perhaps Shelly will make guest appearances or Fla'apper will appear as an NPC. Interesting! I have only listened to the first episode. I was hoping for something that stuck to Nentir Vale lore, but can live with the changes in one DM's game. If there is too much shifting of players and DMs in this game I don't know how they are going to keep going without seeming disruptive. I'll bet they don't change after this. Interesting! I have only listened to the first episode. I was hoping for something that stuck to Nentir Vale lore, but can live with the changes in one DM's game. I was on the fence after listening to the first couple episodes. I generally don't care for actual play recordings, and was listening only because it was set in the Nentir Vale. With a new DM at the helm, if the campaign begins feeling more recognizable as the Nentir Vale, or I simply love the changes that are made, I'll continue listening. I'm not insistent that the setting has to be locked in stone, but changes need to be improvements to warrant the time investment listening to it. If there is too much shifting of players and DMs in this game I don't know how they are going to keep going without seeming disruptive. I'll bet they don't change after this. I agree that they're unlikely to make changes after this. It seems to disruptive. Perhaps if they complete this series and then start a second season, they could introduce cast changes at a natural break point. I've been thinking about this off and on all morning. Honestly I am a little surprised that Mearls is stepping away from the DM seat. I know he has been running home games in the Vale for a while and he had shown some prep materials on twitter last year. I got the idea that he truly enjoys the setting and wanted to bring it into 5e, even just in his homebrew way without 'official' releases. It's kind of disappointing that he is begin pulled from this - by choice or by request from him bosses, doesn't matter. I don't know why I am so disappointed, but I am. I don't think the changes Mearls was doing to the setting were the problem. Most people I saw in Twitter and forums liked them (because it turned Nentir Vale into something more akin traditional D&D than its original, 4e version), and the minority that disliked them. (myself among them) was not even vocal. Something may have happened, and I guess that Mearl's lack of activity in December was a hint. Regardless of how I feel about Mearls' attemps to turn the Vale into another generic setting, is sad he had to step down as the DM. At least they didn't cancelled the show.